Recently there has been a growing sense that capitalism is at best a mixed blessing. Though the material benefits that accompany its massive wealth creation are real and significant, capitalism has also been criticized for yielding various social ills, with rising income inequality and untrammeled corporate greed often cited as examples. Even defenders of capitalism agree that it is far from perfect, but the question remains: how can we best address capitalism’s shortcomings? Some believe that capitalism is inherently flawed and needs to be replaced altogether by socialism or some other system, while others think capitalism can be reformed. 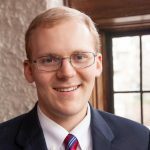 Kenneth J. Barnes—holder of the Mockler-Phillips Chair in Workplace Theology and Business Ethics at Gordon-Conwell Theological Seminary—takes the latter position in his recent book, Redeeming Capitalism. According to Barnes, capitalism originated as a system of wealth creation that functioned for the general benefit of society rather than merely serving a privileged few. 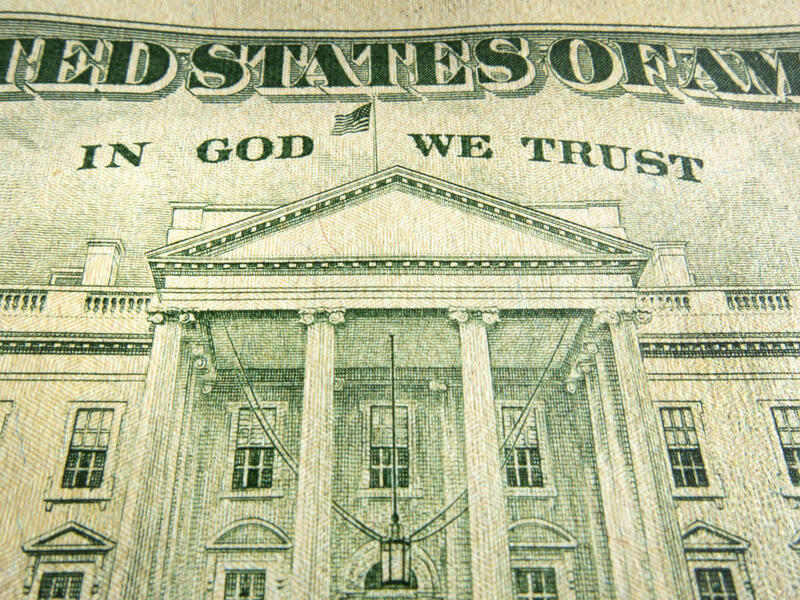 Over time, though, the religious ethic that undergirded this system—at a minimum, belief in a supreme deity who establishes basic rules of morality—has gradually faded, resulting in a “postmodern capitalism … devoid of a moral compass and resistant, if not impervious, to ethical constraint.” Capitalism today is thus characterized by greed, inequality, corruption, recklessness, and an imprudent emphasis on short-term profit at the expense of long-term sustainability. Barnes’s solution is for people to practice what he calls virtuous capitalism, that is, a capitalism informed by the cardinal virtues of prudence, justice, courage, and temperance, as well as the theological virtues of faith, hope, and love. According to Barnes, the practice of virtuous capitalism is not limited to Christians or even religious people in general, but is available to all on the basis of humanity’s universal capacity for reason, which enables everyone to discern and practice what is good for both the individual and society. Informed by these virtues, Barnes says, we can begin to redeem capitalism in concrete ways such as restoring meaning and purpose to work, reforming money to make it a measure of real value again, providing banking access to the neglected poor, etc. If it were the case that all other proposals reduce to socialism or communism, it would be understandable that Barnes does not waste space dissecting economic schemes that, to put it mildly, history has already demonstrated to be inferior to capitalism. But when distributists purport to offer a third way between capitalism and socialism, grounded in Christian principles, it is notable that Barnes does not acknowledge their arguments even in the chapter where he surveys some ill-conceived responses to the failures of capitalism (e.g., Occupy Wall Street). Although this could strike some as a stirring call to action, for others it will fall flat. “Ought” may imply “can,” but the capacity to do something says nothing about whether a person will exercise that capacity, so while Barnes is right to recognize humanity’s capacity for reason and moral discernment, it then becomes relevant to ask how amenable people actually are to exercising reason these days. In answering that question, we might stop to consider how much the emphasis on public reason has availed those who defend a traditional conception of marriage and sexuality. 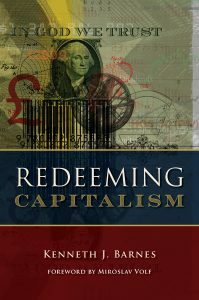 Redeeming Capitalism might be of interest to those who agree with Barnes that there is no better alternative to capitalism, and that we can bring about the virtuous capitalism he describes by exercising our natural capacity for reason and moral discernment. For those who disagree with the former or are dubious about the latter, however, the book does little to persuade. Better terminology might help. “Capitalism” and “socialism” don’t really mean anything anymore. What most people in the West think they mean by “socialism” is just capitalism with high taxes and lots of government-provided services, especially some sort of direct payments for older people. Better terms might be “market economy” and “command economy” but I’m sure lots of lefties would think that’s pejorative somehow. What’s needed is a system that can protect the markets from regulatory capture and other means of powerful interest groups granting various advantages to themselves. Of course, the easiest way to accomplish this is to shrink the government, not grow it–big business LOOOOOVES big government, and vice versa. But life’s too short to waste on trying to convince anyone of that who doesn’t get it by the time they’re an adult. Of course, most of our current problems are due to the seizure of power on behalf of urban centers at the expense of rural interests, but those of you who read here knew I would say that…We could improve things hugely by various “progressive regulation” schemes, where the bigger you get the more and more onerous regulations you are subject to, rather than the opposite, which we have now, but small businesses and small towns don’t have any pull with politicians anywhere on the political spectrum. Yes, and “Thou shalt not steal, except by majority vote,” is a key feature to this current system Further, the old feud between the Hamitonians and the advocates of Jefferson’s vision has never entirely left us; although it was the former’s ideas that won out a little over 150 years ago. Ours is a command economy, albeit a relatively soft one, with the government and Big Business inextricably joined in a corporatocracy. Central banking, externalizing/socializing costs, corporate welfare, etc., are simply taken for granted. The premise of the book appears to me to be flawed. Capitalism did not start as benevolent, and later become “corrupted”; it was corrupt from its origins. Indeed, the first real attempt to “justify” capitalism makes precisely this point. Bernard de Mandeville’s “The Fable of the Bees” posits vice as the foundation of economic order. His subtitle tells it all: “Private Vices; Publick Benefits.” Mandeville reversed two millennia of economic thinking by placing vice as the only allowable motive, and making virtue the cause of disorder. Adam Smith tried to soften Mandeville’s vice into a mostly benign “self-interest,” but even he recognized that self-interest too easily become “special interests” as the self-interested parties combined to control the state. But at least Smith recognizes justice, a term he uses 100 times in “The Wealth of Nations.” But a few generations later, the term “justice” will be banned from economics as irrelevant to wealth creation and a mere confusion to the system. What “justice” there would be could only be commutative and not distributive. But commutative justice standing alone, divorced from distributive and legal justice, is simply an impossibility. The reasons that capitalist fails is that it involves a contradiction. Powerful entities can only be controlled by a powerful state, but such a state is always in danger of being captured by what it sets out to control. Hence it is hardly surprising that big business and big government grow hand in hand, the one feeding off the other. You must grow the state to contain the capitalists, but then the capitalists feed off the state. To get rid of the big state, you will have to get rid of the big capitalists. I’d much rather bet on other people’s vices to protect my liberty than on their benevolence. The former is a sure thing, the latter not so much. The main problem is that we are now a society of people who call the cops on little kids selling cookies and lemonade (http://6abc.com/neighbors-call-cops-on-iowa-girl-10-selling-cookies/3888269/). I don’t know any system that will work with such a people. Could you explain these to me? The US constitutional system was designed to put various parts of society, and various components of government, in explicit tension with each other, so that as they all fight for their own interests, they are less likely to trample on mine. I’m sure you’re at least as familiar as I am with the Federalist Papers, to find the case made explicit, in Federalist 51 probably most famously (“Ambition must be made to counteract ambition”, etc.). It would of course be possible to design a completely different system, where the assumption is that people are good and noble and virtuous and good governance will naturally arise from that. Is that not basically the logic underpinning the Progressives, where direct democracy is the only source of power? In this system, those people living in small towns, for instance, have zero power, no voice at all, and their interests are completely unprotected (see the last 50 years of American history). Would you think it more likely to build a decent government based on “Ambition must be made to counteract ambition” or on “People are very nice and care about what I care about”? The people calling the cops on kids are of course not virtuous. I have no idea why you would think I think so. The problem is that in a society where there is a non-trivial number of such people, how can you build a decent government? Yes, that was the assumption of the founders; it was an attempt to give political form to the grumbling hive. Vice would check vice, and the hive would thrive. But the error was that vice does not check vice; vice magnifies vice. Vice and vice does not sum to zero, and certainly does not sum to virtue; it becomes vice-squared. Vice makes a deal with vice; when vice governs the body politic becomes a corpse over which the vicious contend for the spoils. The law assumes neither vice nor virtue; rather it assumes that people act with mixed motives. All of us want to do good, if only we knew what that was with certainty. But we tend to rationalize our actions in terms of some good, which may only be a subordinate good or even an outright evil. But if you assume every person is vicious and always vicious, then law becomes impossible; the costs of enforcement are simply too high. The problem is that all of the systems that were designed to ensure vice checks vice were systematically torn down, so that now, you are correct, too much vice works hand in hand. The assumption need not be that “every person is vicious and always vicious”, just that people will act in their own self-interest (not at all the same thing as being “vicious”), and construct a government accordingly. Unfortunately, I do not have a prescription that I think likely to work. I do believe that Chesterton & Belloc have been by far the most successful economic prognosticators of the last few centuries. I suspect things will get very nasty in the coming century.